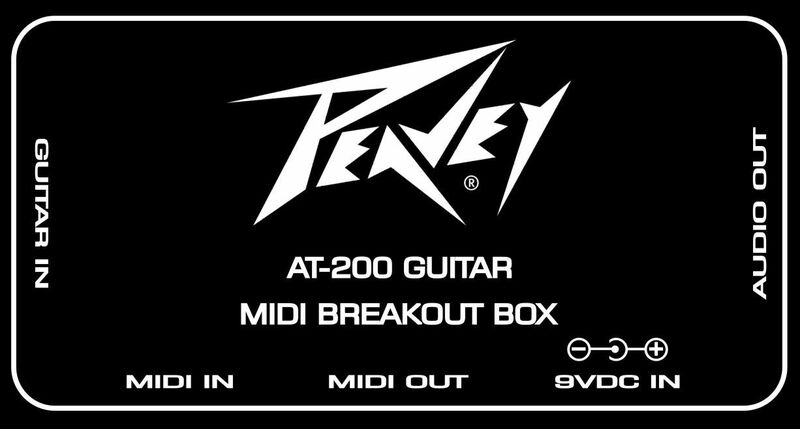 This Custom Breakout Box is a Clone of the Peavey© AT-200B Breakout Box that allows phantom power and allows a connection between the Peavey© AT-200 Auto-Tune Guitar and an iPad© over MIDI through an external CoreAudio Midi Interface and Apple© Camera Connection Kit. This Interface alow the user to control the Guitar Tuning Changes. The Clone has an integrated I.K. Multimedia© iRig MIDI adapter which allows direct connection between the Guitar and an iPad for Guitar Tuning Changes. An Apple© 30-pin to Lightning connector adapter allows connection to a newer iPad©. This eliminates the need for an external M-Audio© UNO USB Interface and an Apple© Camera Connection Kit. A CableJive© 30-pin Extension cable allows the iRig MIDI 30-pin connector to be extended to the outside of the Breakout Box. There is a 6 Volt Regulator to provide phantom power to the AT-200 Guitar and a 5 Volt Regulator to power the iPad through the iRig 30-pin connector.